Discover with us the magic of new material, which we enriched the range of our products. Acryl is perfect for bath mat and we prepared for our customers a whole collection of these mats in several shapes and sizes. 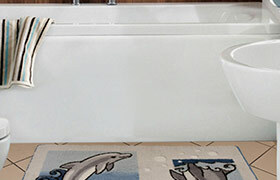 Visit our section bath mat and contact the sales department to enter your order.